In odd-numbered years (like this one), Washington legislators set the two-year state budget (capitol and operating). Lawmakers are currently negotiating this year’s funding package. Critical provisions for education, human services, infrastructure, and public lands hang in the balance. From the shores of Deception Pass to the Ponderosa pines of Riverside, our state public lands - and the agencies that steward them - need sufficient funding to provide the outdoor experience we know and love. Now is the time to make our voices heard and champion funding for Washington’s public lands. Below you’ll find more information about the budget process as well as a list of important funding priorities. Please keep in mind that your letter to legislators will be more impactful if you ask them to support specific measures and explain why they’re important to you. Washington operates on a two-year budget cycle. The budget is finalized in odd numbered years like 2019. Starting in January, the state senate and house take the governor’s recommendation into account and negotiate their own budget. In the spring, the state senate and house submit their final budget to the governor (who may veto some or all of the budget). Once the governor signs the budget, it takes effect on July 1. As Washington State’s population grows, more people are spending time outdoors. We believe funding for state public lands needs to reflect this increasing demand. With that in mind, we support funding that stewards our state public lands and helps more people, especially youth, get outside. The Washington Department of Natural Resources (DNR) is the agency tasked with managing our state trust lands. The agency utilizes revenue from timber harvests to provide funding for public institutions like schools, while also balancing conservation and recreation priorities. Learn more on the WA DNR website. We support WA State Parks’ $196 million operating and $120.6 million capital budget requests. 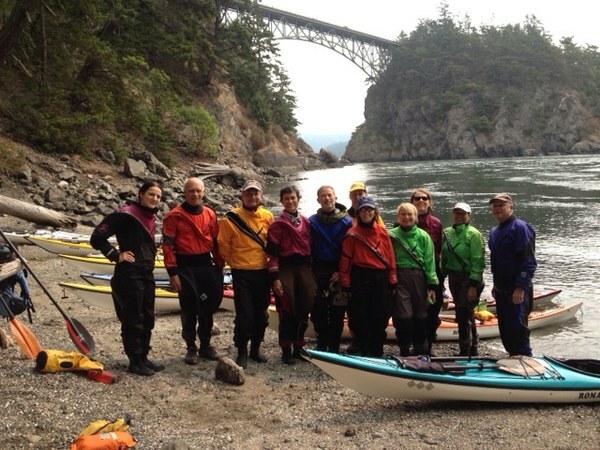 From sea kayaking at Hope Island State Park to climbing at Olahee State Park, these lands are a vital part of the outdoor experience and an essential space for Mountaineers courses and activities. Learn more on the Washington State Parks’ Capital Budget Request’s Fact Sheet. We support funding WDFW with $30 million to fill their operating shortfall and an additional $28 million to improve their services. Although many recreationists may not realize it, WDFW manages wild places throughout the state, including high-use climbing areas like Vantage and Tieton, mountain biking areas like Joe Watt Canyon and Manastash Ridge, and hundreds of water access sites for kayaking. The agency needs funding to close their budget shortfall and continue supporting these experiences. Learn more on WDFW’s Budge Development page. We support funding for WWRP at the $130 million level. WWRP serves as our state’s premier grant program, providing matching funds to create new local and state parks, develop trails, protect wildlife habitat, conserve forests, and more. Learn more about the program on the WWRP Coalition website. We support allocating $1.5 million for the WA State Recreation and Conservation Office (RCO) to manage No Child Left Inside (NCLI), a grant program which helps kids experience the outdoors. Over the past decade, we’ve advocated for the creation and continuation of this vital program. We’re proud of its success, and the example it’s set nationally. Four states, including California, Oregon, Nevada, and Minnesota, have all introduced NCLI bills this year. We believe every child has the right to experience nature, and that developing this connection is key to creating future public lands advocates. Learn more about NCLI on the RCO website and Washington State Parks website. The Mountaineers are beneficiaries of this program, and it's allowed us to expand our Mountain Workshops programming in our Tacoma and Kitsap branches. This year the grant will allow us to serve over 400 youth through partnerships with nine youth-serving organizations.